IMPH's mission is to collectively inform policy to improve health and health care. 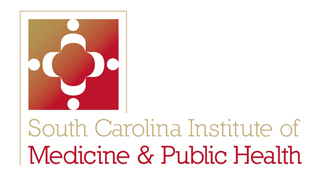 Get in touch with the South Carolina Institute of Medicine and Public Health. This presentation from Maya H. Pack, MS, MPA, the Associate Director of Research & Strategic Initiatives at the South Carolina Institute of Medicine & Public Health (IMPH) discusses the role of behavioral health systems in sustaining the health of a community, as well as how to use collective action to transform these systems. Developed by the South Carolina Department of Health and Environmental Control, the South Carolina Institute of Medicine and Public Health, and local and statewide stakeholders, this brief summarizes evidence–based strategies and resources for population sodium intake reduction.